Based at the Personal Training Studio in Cheltenham we are working with clients to help them achieve their unique health and fitness goals. Whether you are looking to Lose Weight, Tone Up, Train for a Specific Sporting Event or even just improve your fitness and quality of life... We have the right program for you! Do you feel like you have low energy levels? Struggle to get up in the mornings or sleep at night? Do you fall asleep at your computer or just lack general motivation? 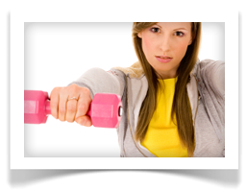 Losing Weight can be a long hard battle if you are a crash dieter or get the wrong advice. Carrying excess weight can affect your life in many ways... do you suffer from shortness of breath, lack of energy or even your ability to get about? Just PT run 2 different circuits classes each week in the Cheltenham area. 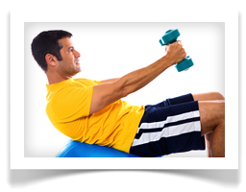 These classes rotate between Upper, Lower and Core exercises to give you an all over body workout. This will help you feel more alert, increase your productivity and enjoy your life a whole lot more! Benefits of 1 1/2 hours Of Training in Just 20 Minutes. The Vibrating platform stimulates a reflex contraction within the muscle which leads to a high level of muscle activation. Performing static or dynamic movements including standing, sitting, kneeling, lying and placing your hands on it - almost any exercise from a typical gym workout can be done on the machine. 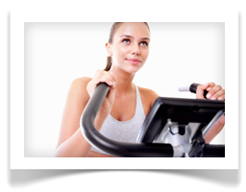 Reduce the impact on your body through Anti-Gravity Running on the Alter G Treadmill. Whether you are coming back from a long term injury, wanting to increase your stride length and pace or just looking to integrate yourself in to running at a reduced body weight. 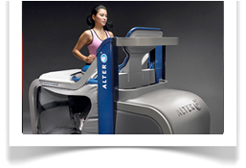 The Alter G treadmill is state of the art technology that is being talked about by groups and individuals from a wide range of demographics here in Cheltenham. Whether you are just starting out or an elite athlete, this machine could revolutionise your training to get you the results your truly deserve.